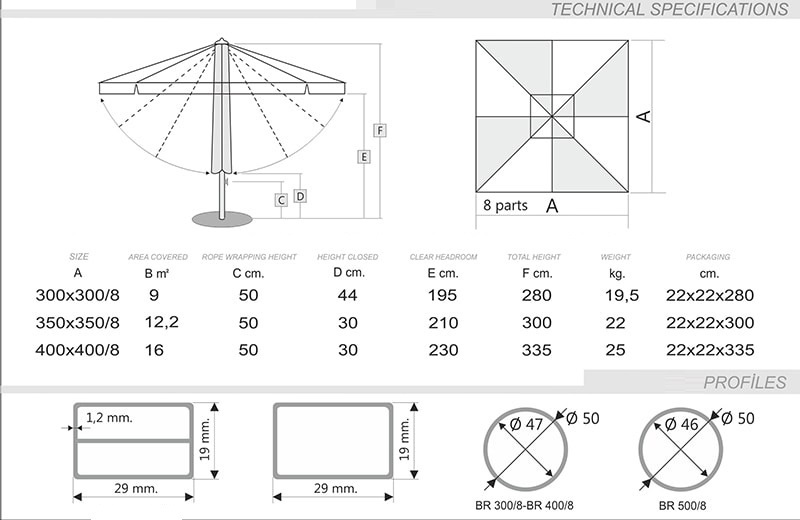 Bond square is an aluminum Parasol with 8 ribs which can be produced to protect you from the Sun in the Garden, Cafes, Restaurants near Pool Edges. Anodized or white powder paint coated. The centre Pole is 50 diameter. 250 gr Olefin (5 year warranty) and 190 gr acyrlic waterproof polyester and 300 gr acyrlic fabric protect you from the sun for years.